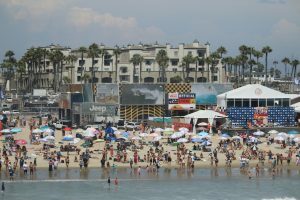 Vans US Open Of Surfing 2017 Final Weekend! 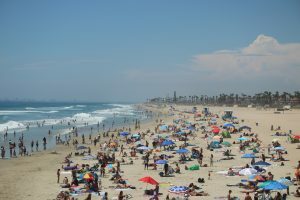 If you have been putting off your trip to the Vans US Open Of Surfing this year, now is the time to take off the procrastination shirt and grab some sunscreen. 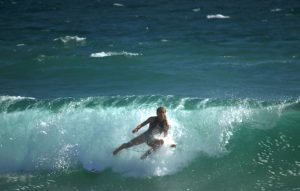 This weekend hosts the semi-finals and finals, so you haven’t missed everything. 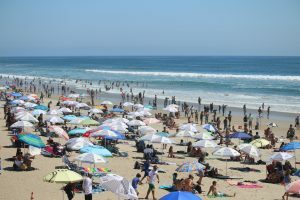 Even during the week the crowds were strong, so get there early or plan on taking a bus. 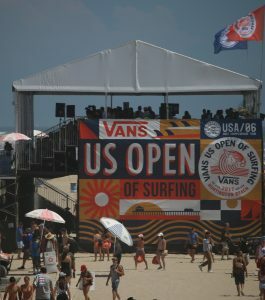 The Vans US Open of Surfing started July 29th and finishes up this weekend on Sunday, August 6th. After that you only have one more week of the OC Fair too. Summer is quickly coming to an end isn’t it. 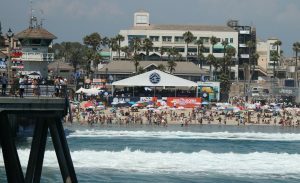 If you aren’t one for big crowds, the WSL VIP and Media Tent looked like a great place to hang out. Sadly for us, Beach Street News didn’t get an invite. Maybe next year guys? 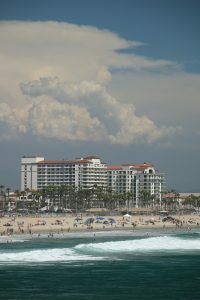 Anyway Main Street Huntington Beach stores and restaurants we open too. We stopped into the new Sandy’s that was taken over by the same company that owns Fred’s Cantina across the street and Moose McGillicutys in Hawaii. The remodel is a big win. We were a little puzzled about the beach dogs hanging out inside the bar, but more importantly, the service wasn’t ready for us. It was hard to tell if it is still growing pains or they just under planned the staff for the day. Three guys who looked like managers just stood around showing the wait staff a floor drawing. Upstairs at Dukes, the place was packed and everyone was happy, so hopefully Sandy’s will catch up, it is a great location now with the remodel. You can’t beat it for people watching. 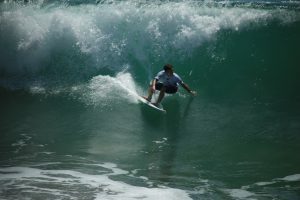 So remember, just three days left and the 2017 Vans US Open of Surfing is gone forever. Well maybe not the t-shirts, there still might be a few at Jacks or HSS, but otherwise it is gone forever. There is Skate Comp Too! Previous Topic: Best Breakfast in Hawaii – At McDonalds? Next Topic: New Mortgage Rules Again!